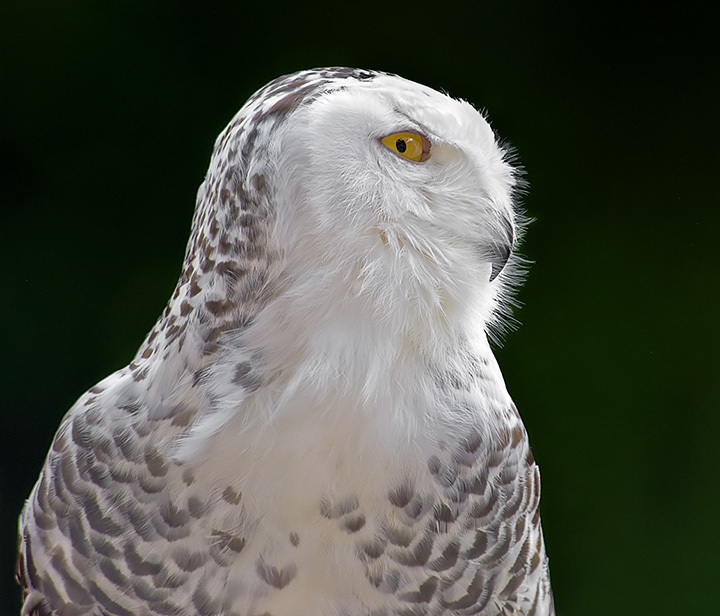 Snow Owl photographed while the keeper was walking him around. Shot at 400mm focal length , hand-held and with ambient lighting only. Oh I love these owls! Love the amount of detail. Very nice! Love the wispy feathers. The eye color is cool. Congrats on a great score! wow...those are amazing eyes! i almost would have liked to see a tighter crop, maybe? Wonderfully imperious look to him !! beautiful picture. great feather details and like the position of the head. So beautiful. Excellent detail. And it really stands out on that background. Incredible detail, just a great image period. spot on white balance. love the eye, great all around. Proudly hosted by Sargasso Networks. Current Server Time: 04/26/2019 03:39:21 AM EDT.